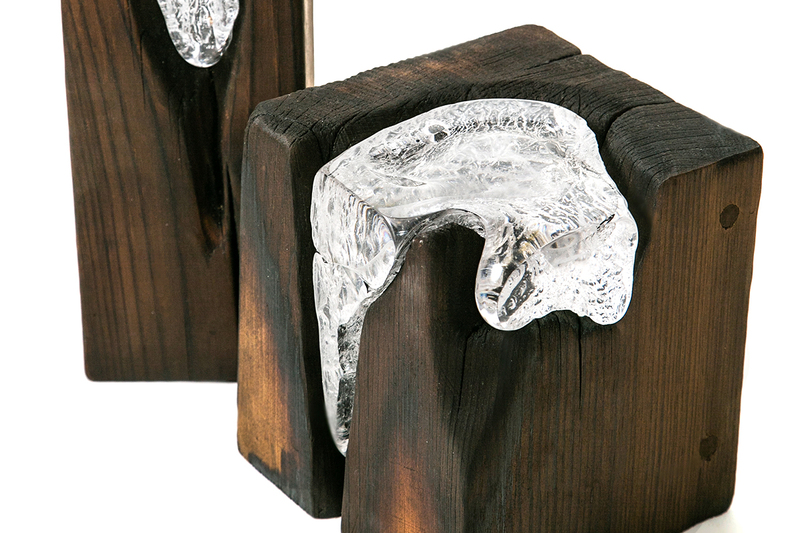 Cast glass pours down the charred timber of this blackened wood. 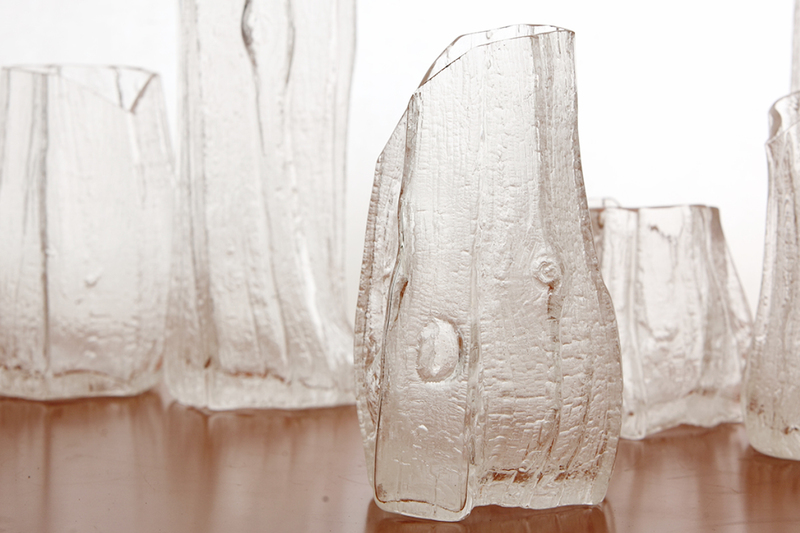 Mimicking a waterfall or mineral find, the clear polished glass captures the wood in memory. Made with reclaimed wood and cast and high polished glass. Blown into a hollowed out log, each one of these vessels capture the heart of the tree. A ghost of bark impresses upon the clear glass as we repeatedly blow molten glass into one log until it is ash. 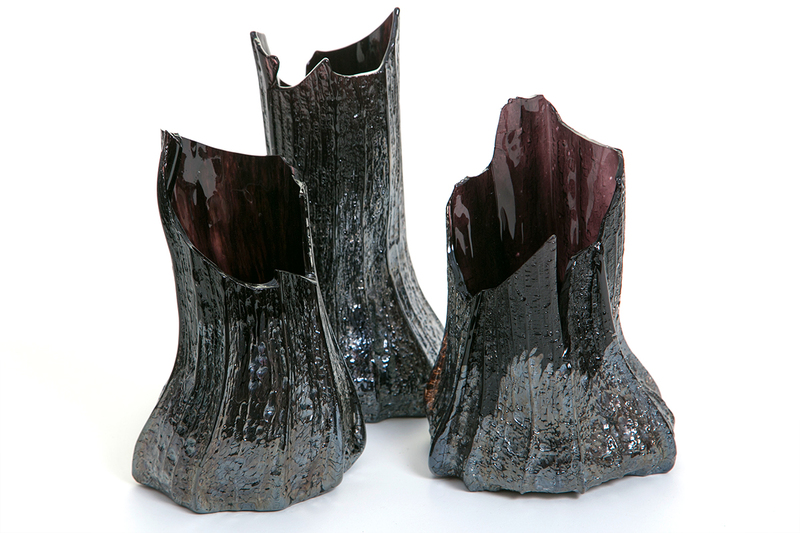 A lustrous black, these log vessels reflect the wood mold that they were made from. Each piece, with bark texture impressed upon the ebony glass, are blown and hot sculpted to recreate a darkened and charred glass timber. 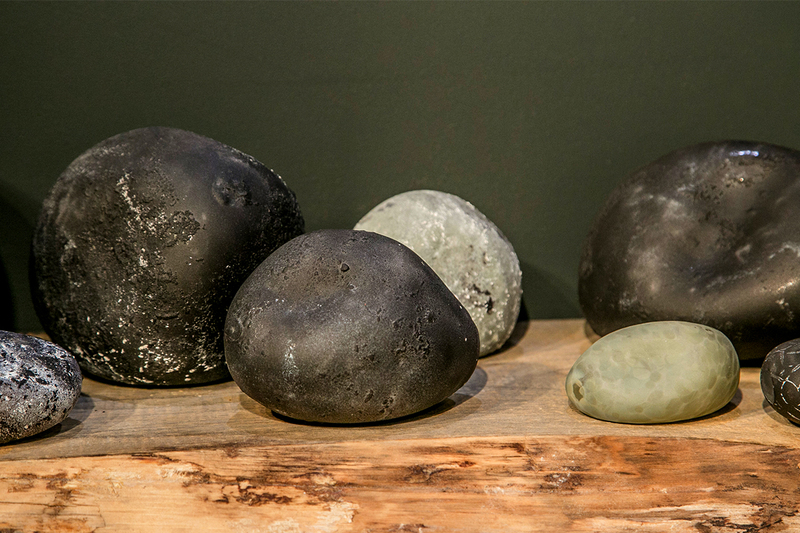 Inspired by the beaches off the coast of eastern Canada, these weathered and washed glass rocks sit serenely as unobtrusive objects that evoke a memory of a walk in the sand. 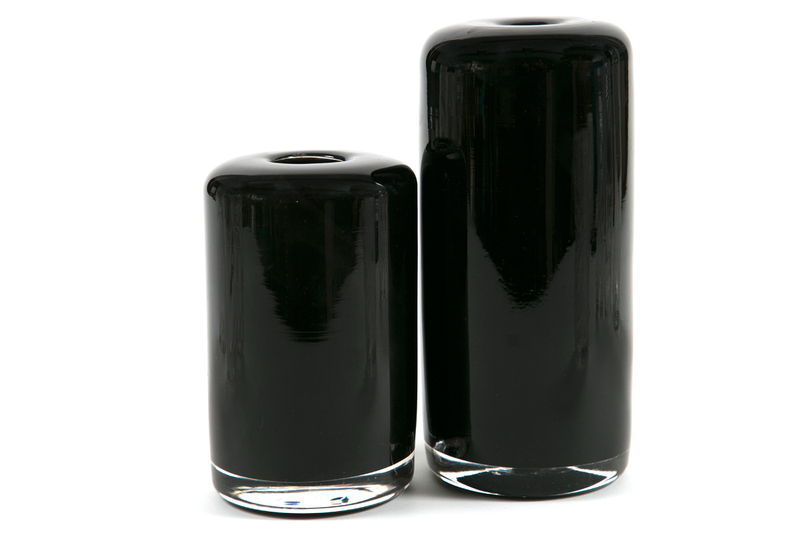 White paper and black ink inspires the contrast for these cylindrical vessels.